Allergy is one of the most common civilization diseases in modern times. The frequency of its occurrence has caused it to be described as an epidemic of the 21st century. Already in 1948, the World Health Organization placed allergic disorders in the third place in the Manual of the International Statistical Classification of Diseases, Injuries and Death Causes presented at the first World Health Assembly. It is estimated that about 14 million people suffer from allergies in Poland, and the incidence is increasing. A disease closely related to allergy is asthma, which according to the latest WHO data affects around 235 million people worldwide. 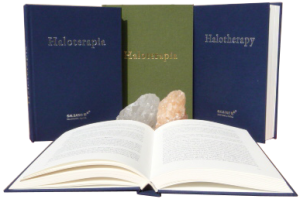 The effectiveness of halotherapy in relation to hay fever allergy is 82%. In bronchial asthma, the effectiveness in treating children is 75-85%.